If you are thinking of improving your home with new frameless slide and fold door, internal glass door or frameless porch door, employing a business that is FENSA registered is recommended. Frameless Glass Curtains Ltd are a FENSA registered company meaning peace of mind for you. Membership of FENSA means we are part of the Government Authorised Competent Persons Scheme covering replacement doors and windows in England and Wales. FENSA is the leading scheme in the UK for the self-certification of installations of windows and doors. It is by far the most recognised and best known scheme building trust between you and your door provider. 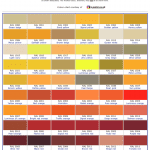 FENSA works with thousands of professional window and door companies all over the UK. FENSA installers are continually vetted and inspected to ensure high standards are maintained. FENSA ensures self-certification and compliance with current Building Regulations. Using a FENSA Registered Installer means you do not have to register your door and window installation with your Local Authority. This can save you hundreds of pounds. You are safe in the knowledge your new frameless slide and fold doors comply with Building Regulations without arranging inspection by Building Control. Therefore, by using a FENSA registered Company you not only save time and money on your installation costs, you benefit from consumer protection as well. And if you choose to sell your home in the future, FENSA can help provide support to your solicitor handling your sale. 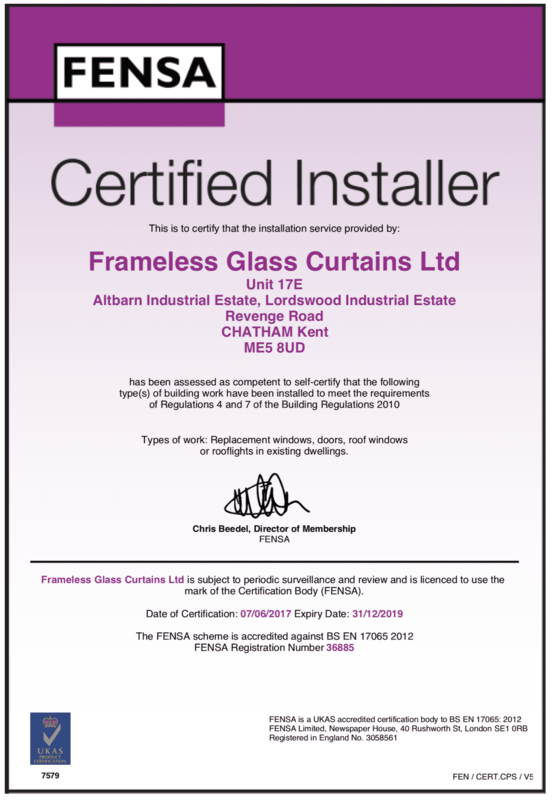 FENSA Registered Frameless Glass Curtains Ltd.
Our FENSA registration is your peace of mind that FGC have been vetted and found to meet FENSA’s criteria for membership with ongoing assessment. In dealing with our company we provide a firm quotation, written contracts and provide first-class levels of customer service. Our hundreds or reviews on our website are testament to this. As of 7th June 2017, FGC are Certificated by FENSA.